Did I miss where it was reported who sold the poor creatures to the slaughter company to begin with? Anyone know why Frivolous and colt have not left their stall? Cute, blazey colt by Straight Fire, who really should be gelded. Why? 52 out of 70 have bids on them. Plus while they don't have reserves, they still have minimum starting bids. No one is going to pay the starting bid to send them to Mexico. Thank you Flanders. Hopefully the other 18 will also get bids. Being NM and so close to the border, I am worried where these old mares and babies will end up. I had an sickening feeling about him since hearing of his return to the track. Just heartbroken. He lasted only two years over there. Treve, thank you for that post. I found it quite educational. So why was Japan sold? Anyone know? I so worry about the fate of "unfashionable" broodmares who only sell for $1000 - 1500. Anyone know who Red Scarf Racing is? The name does not show up in Equibase. 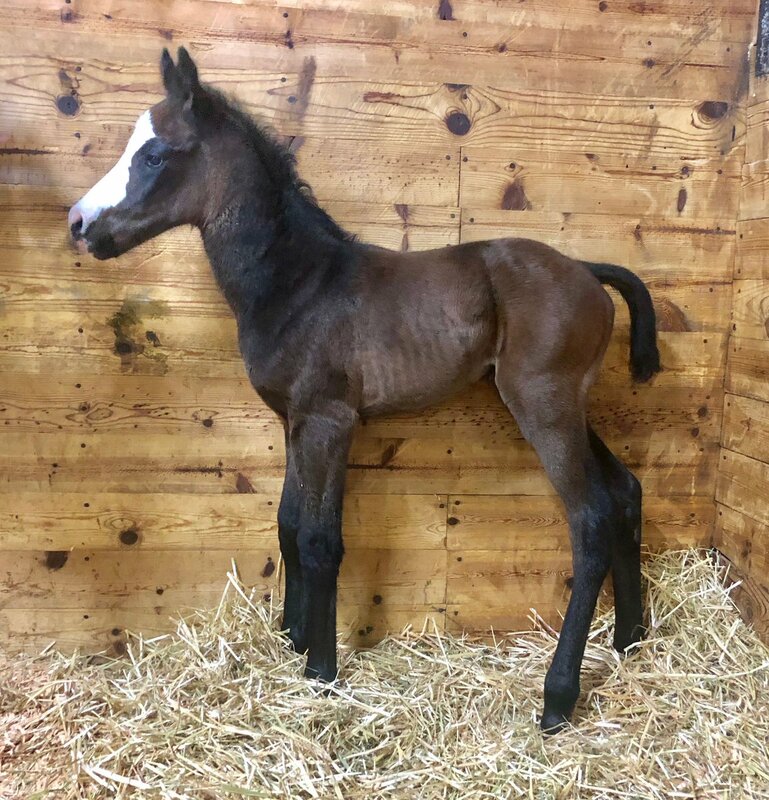 Stopchargingmaria's 2018 filly by POTN went for $1.9 million wow!